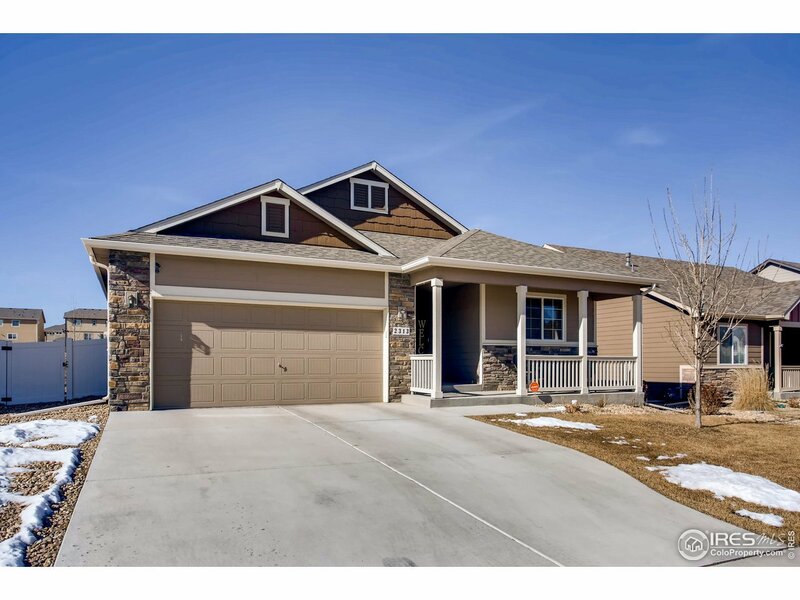 Beautiful ranch style home in west Greeley in the Windsor school district. Backs to natural area. Fenced back yard. Relax on the patio and watch the sunset to the west. 3 bedroom, 2 bath, 2 car garage with a huge unfinished basement for future expansion. Spacious master suite w/ private bath & walk-in closet. Hardwood floors, A/C, landscaped yard, nicely painted inside. Convenient location. Includes all kitchen appliances. New roof in 2017.